I love dinner, you love dinner, we all love dinner! I love dinner so much that I (accidentally) used a knife to chop a chunk out of my thumb Wednesday night in anticipation for dinner. Major fail. Those bell peppers were just so slippery and my thumb got in the way of the awesomeness that was my newly sharpened knife. I’m not one to get squeamish over blood, guts and gore, but the sight of my own thumb all mangled up was enough to make my knees fall out from under me, granting me a nice ride in an ambulance to the nearest hospital. Kevin and I got to hang out for a couple of hours, he wrote me a script on his phone that turned ferry dust, honey and tea into a message that said, ‘Kevin loves Leanne’, and after I was all patched up, I came home to a rather large bowl of homemade ice cream and passed out for the rest of the day. Never a dull moment (haha get it? Dull… knife…) in this house! There’s nothing quite like coming home to a warm meal on a blustery day. I’m big on preparing these types of meals on the weekend, freezing them in individual containers, and throwing them in the freezer for some quick dinner action throughout the week. 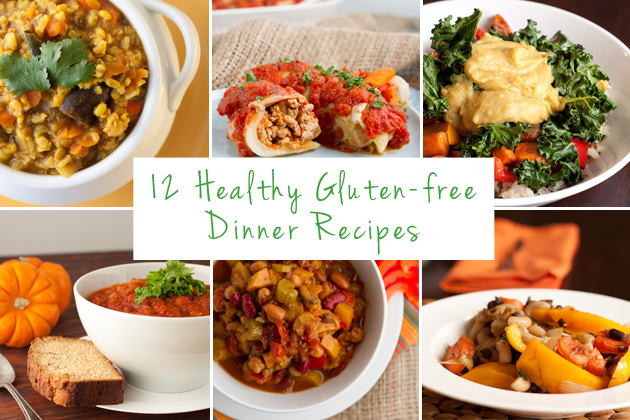 Of all the dinners we enjoy, I’ve put together a list of 12 of my favorites, half are vegan recipes and the others are packed with meat! 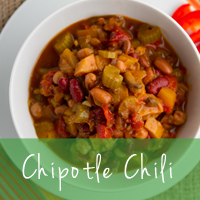 Click on the images to be directed to the recipe! 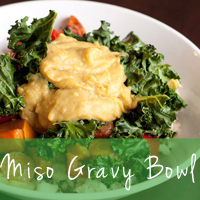 These bowls are loaded with veggies, protein, and beneficial bacteria from the miso. 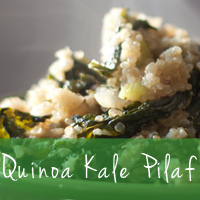 It’s one finger licking, energy producing, immune boosting dinner! 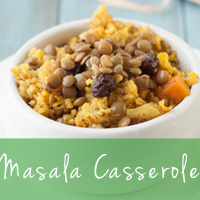 One pot Indian meal filled with the flavors of biryani – fresh vegetables, masala, tender basmati rice, but with minimal prep work. 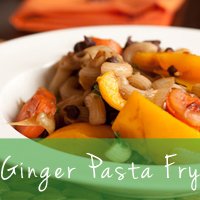 A great warm-you-up dish for a cold day that wont leave you spending hours in the kitchen. 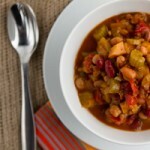 A warming thick and spicy vegan chili filled with root veggies, beans and a pinch of cinnamon. 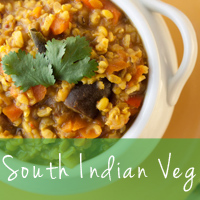 One pot meal of spicy south Indian rice with lentils and homemade coconut masala. 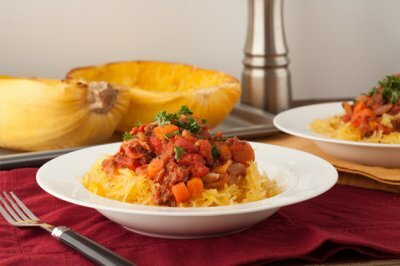 Roasted spaghetti squash served with a homemade bison and bacon sauce. Throw it in the oven and forget about it! 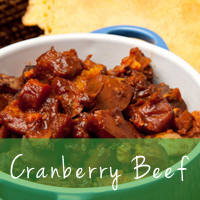 This dish is full of flavor – from the deep cranberry sauce, to the sweetness of yam, mixed with the satisfying taste of organic beef. 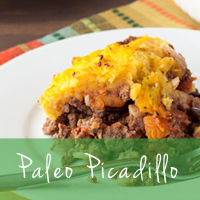 Perfect for weekday family meals, served with toast, tortillas, or socca. 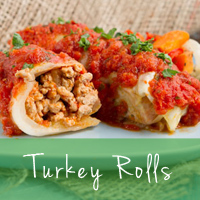 Lean and clean cabbage rolls made with roasted veggies, homemade marinara and ground turkey. No grains! 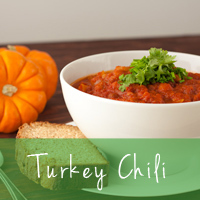 A warm and delicious crock-pot prepared pumpkin and tomato based chili filled with turkey, white beans, and sweet onions. 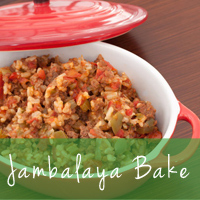 A 4 step casserole is music to my ears and it will be for you, too! Have you tried any of these recipes? If so, I’d love to hear about it! Are there any dinner recipes (in need of a makeover perhaps?) that you’d like to see here on the blog?